Inspiring true stories of heroic scientists who risked everything for the truth: Archimedes, Ptolemy, Copernicus, Tycho Brahe, Kepler, Galileo and Isaac Newton. 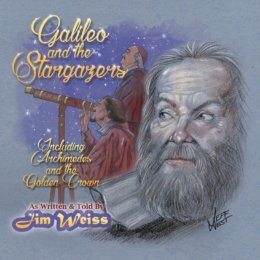 Inspiring true stories of heroic scientists who risked everything for the truth: Archimedes, Ptolemy, Copernicus, Tycho Brahe, Kepler, Galileo and Isaac Newton. Thrillingly narrated by Jim Weiss.